We first noted Thea Farhadian with her excellent record Red Blue, where she pitted her violin against the guitar of Dean Santomeri. I enjoyed the melodic and narrative elements of that user-friendly album. Tectonic Shifts (CREATIVE SOURCES RECORDINGS CS 365 CD) is quite a different barrel of herring. It’s all solo, performed by Farhadian with her violin and Max/MSP software in a method which is described under the general term of “interactive electronics”. It’s very far from being melodic, and isn’t much of a story-telling album either. Rather, her concerns this time are “jagged rhythms and microtonal landscapes”, and what emerges are short bursts of music and sound, two or three minutes in length, brief but nonetheless teeming with events and changes, and they have no recognisable tonal centre or pitch to help orient the listener. They are almost wholly abstract shards of brittle, processed sounds, that feel like they’ve been broken off the edge of a sub-atomic particle. And with titles like ‘Light Edge’, ‘Particle Party’, ‘Quantum Shift’ and ‘Integer Study’, we sometimes feel like we’re perusing the chapter headings to a scientific monograph rather than enjoying an album of free improvised music. All of the above may sound off-putting, but Tectonic Shifts is thrilling. It scores on several points. First the innovative qualities of its soundworld, because I’ve rarely heard such a strange series of emanations derived from the violin; it’s a spine-tingling meld of the human and the machine. There’s a recognisably organic flavour lurking somewhere in these extremely alien tones. Secondly, the amount of detail which she packs in per square inch deserves note; she must be a quicksilver performer, making musical decisions at the speed of light. This means she can say more in two minutes than some Canadian electro-acoustic composers manage in a double-CD set. Concise statements are set forth. Thirdly, I’d like to say something about her actual performances in these unique blends of improvised and composed music; but it’s hard right now to identify precisely what I like. It may be her unusual dynamics, producing intervals in unexpected places, and odd silences where you expect that more should be said. 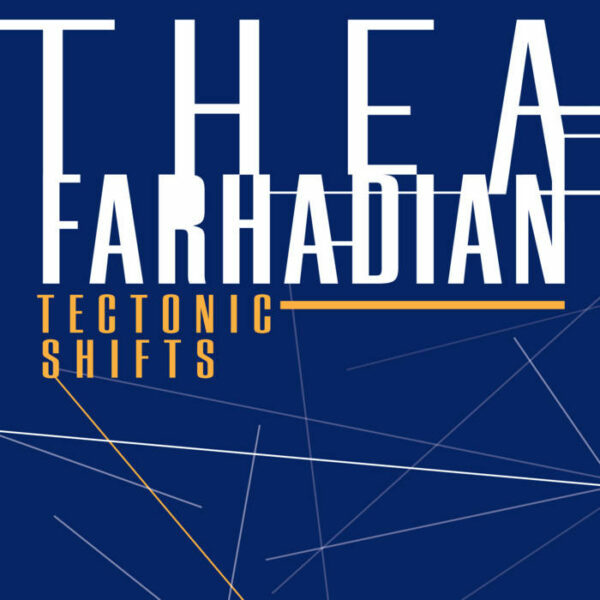 If you can listen your way past the odd surface textures, eventually you’ll get to this core of meaning that is evidently unique to Thea Farhadian’s mind, and it starts to take shape as a musical language. Very good. From 15th December 2016.